Veneers are custom-made, tooth-colored shells that are bonded to the front of the teeth. These shells are very thin and are commonly made of porcelain. Veneers are placed in order to cover cosmetic problems and create a white, even, and attractive smile. When choosing a dental procedure to cover cosmetic issues patients have a few different options. However, there are benefits to choosing veneers. First, they are more durable and will not stain or change color. Additionally, when our staff at Prosthodontics of New York place your veneer we do not often have to remove much of the natural tooth material. Veneers also often cost less than crowns. There are also benefits to choosing porcelain for your veneers. The main advantages of porcelain veneers over composite or another material are that they are extremely natural looking and can be matched to your natural teeth. Porcelain veneers are the right choice for many patients. However, there are certain underlying issues that may prevent patients from receiving veneers. Patients must not have any decay, active gum disease or weakened teeth. Additionally, patients must have an adequate amount of enamel on their teeth. Both of these issues can prevent patients from receiving veneers since the veneer will not be able to properly bond to the prepared tooth. Patients that clench or grind their teeth at night are also not typically candidates for veneers. 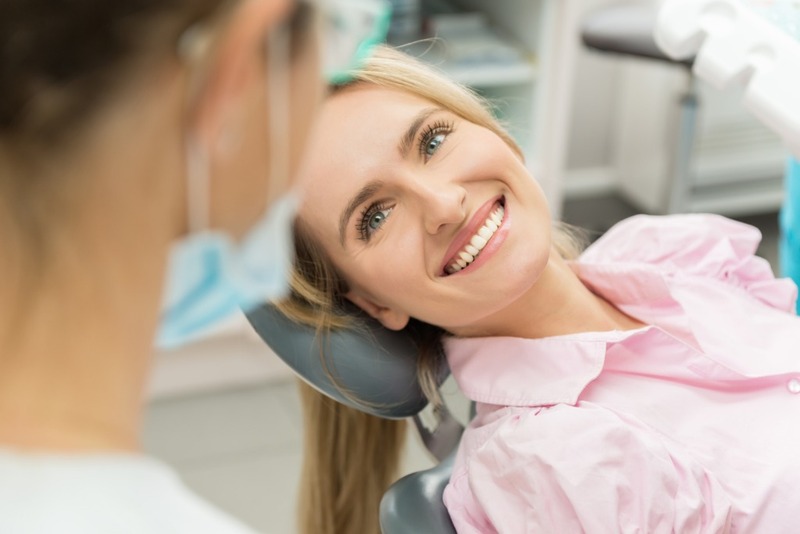 During this initial appointment, Dr. Roberts or Dr. Sirota will examine your teeth and determine if dental veneers are the appropriate solution. You will discuss the advantages and disadvantages of the procedure. This will allow the patient the chance to have an active role in designing and discussing the process moving forward. At the second appointment, the Prosthodontics of New York staff will lightly buff the surface of your tooth for proper adhesion. The buffing typically reduces the tooth by approximately one half of a millimeter. Next, Dr. Roberts or Dr. Sirota will take an impression and send it to the lab. If the patient prefers, our staff can place temporary veneers until the lab has manufactured their new veneers. In about 1 to 2 weeks the custom veneers are ready for placement. At the third appointment, Dr. Roberts or Dr. Sirota will test the new veneers with water or glycerin. This is to determine that they are appropriate in fit and color next to your other teeth. At this point, we can still adjust the color of the veneer by changing the shade of the cement we use to adhere it. After the color is finalized, Dr. Roberts or Dr. Sirota will apply chemicals to the tooth to allow for bonding. Then, they will apply dental cement between the teeth and the veneer. Finally, a special light hardens the cement. Patients can treat their new veneers just like their natural teeth. Prosthodontics of New York recommends that you brush and floss daily as well as attend your routine dental exams. This will not cause damage to porcelain veneers, however, we suggest using non-abrasive toothpaste. Patients should be aware that without proper care their teeth with veneers can still experience tooth decay. With proper home care and regular dental visits, patients will experience long-lasting success with their new veneers. If you want to learn more about porcelain veneers, set up a consultation with Prosthodontics of New York. Call our Manhattan office at 212.758.9690.